Signals will continue to illuminate the signified, as golems will continue to rise from the detritus of fallen empires that are too rich to understand their decay. Shed the misty goggles of nostalgic memory in order to navigate the spectacle of current events. Thresholds appear through magickal actions. The distant light of stars past are our true parents. Unicorns are real, they just don't all behold horns. 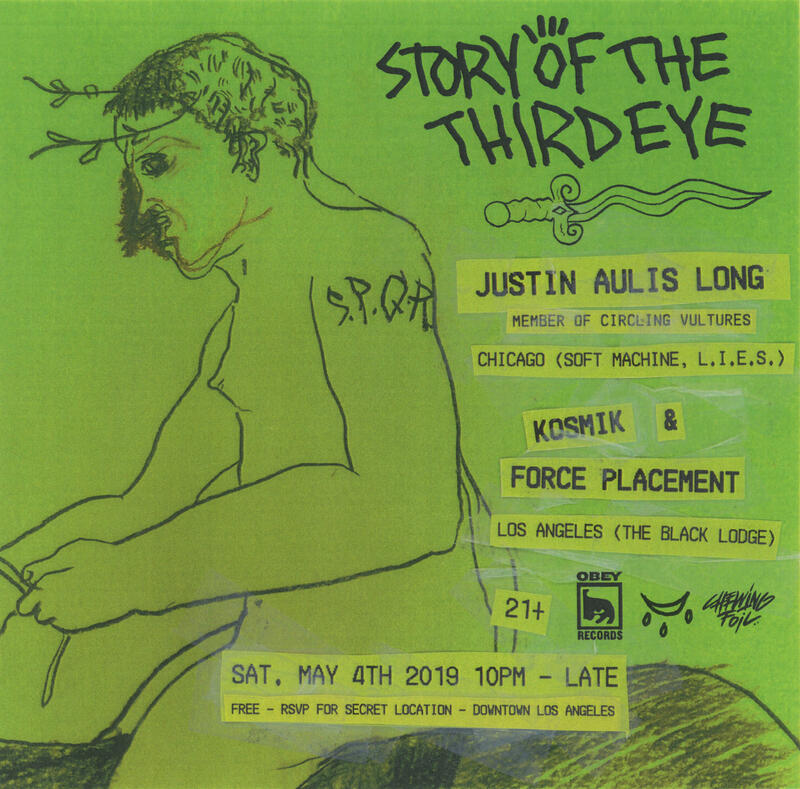 Justin Aulis Long is an alchemist and selector that utilizes themes of the uncanny, ritual action, and collective effervescence to create psychedelic and surreal vortexes during communal dance gatherings. By applying this combination of practices and techniques, Long is able to weave artistic and sonic narratives that exist within the liminal spaces where light meets dark.